The IPKat has just learned that last week the German Supreme Court referred a question to the ECJ relating to the conflict between the geographical indication (GI) BAYERISCHES BIER ("Bavarian beer"), which was protected in 2001 (the application initially was filed in 1994) on the basis of the then current Regulation 2081/92 and the international trade mark registration for BAVARIA HOLLAND BEER, designating Germany, with a priority date of 1995 and covering "beer". The claimant, the Bayerische Brauerbund e.V. 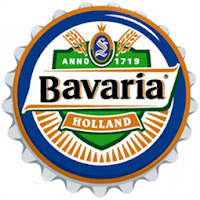 (Bavarian Brewery Association) requests that the IR proprietor agrees to cancellation of the IR's German designation on the basis that it infringes the GI. The parties disagree over the question whether the Regulation on the basis of which protection was granted to "Bayerisches Beer" is valid. The question of validity of this Regulation is already subject of proceedings before the European Court of Justice, having been referred by an Italian Court which is also hearing proceedings between the two parties. The German Supreme Court has now referred further questions relating to the relationship between trade marks and a GI which was granted in the course of "simplified" proceedings. The questions relate in particular to the GI's priority date and whether the application date is relevant if -- as is the case in simplified proceedings -- only the GI's registration is published, not its application. A second question relates to the regulation according to which "Bayerisches Beer" was registered and whether it is invalid. If so, the Court asks whether the claimant can claim protection on the basis of national law [Beschluss vom 14. Februar 2008 – I ZR 69/04 – BAVARIA. Source : German Supreme Court press notice No. 30/2008] (information supplied by the IPKat's friend Kathrin Vowinckel). From the margins to the mainstream? Want to know how to manage your IP assets? ISPs to cut off illegal downloaders? The Sign of the Rampant Hewitt: is it a patent? QMIPRI Conference - 18 February - Don't Miss Out!